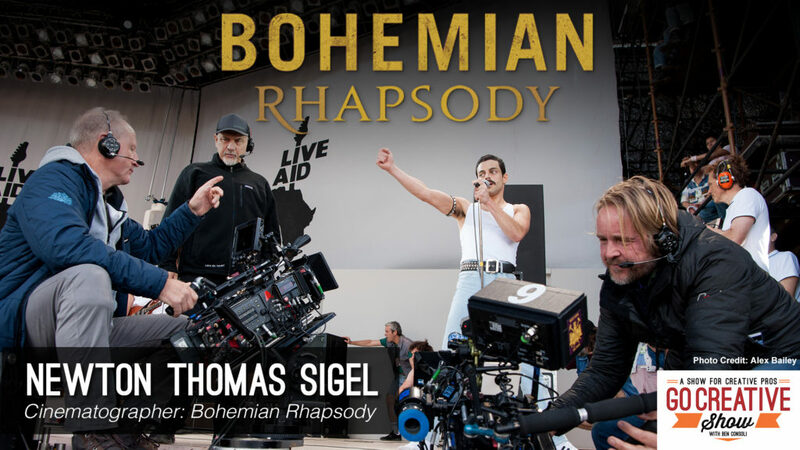 Newton Thomas Sigel is the visionary cinematographer for the highly anticipated film Bohemian Rhapsody. Tom joins Go Creative Show host and commercial director Ben Consoli to discuss Tom’s decision to shoot with the Alexa 65, creating a visual language for Freddie Mercury’s story, recreating Live Aid, and all the behind-the-scenes secrets you need to know. Ross Riege is the cinematographer behind the stunningly beautiful environmental landscape shots from Kong: Skull Island. Ross and I discuss his Indi filmmaking approach to this blockbuster feature and it’s innovative “Nature Unit”. 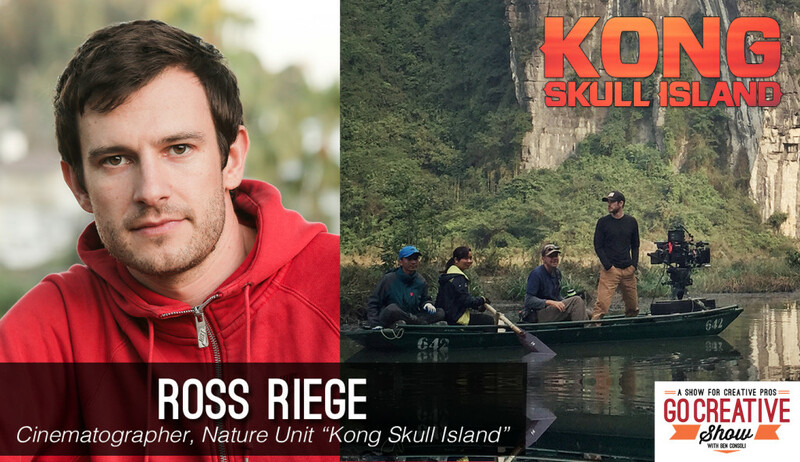 Ross Riege’s experience behind the camera has spanned everything from commercial, to documentary, indie films, and even blockbuster Hollywood hits like the recent Kong: Skull Island. With Kong, Ross directed the photography for the “Nature Unit” responsible for everything from sweeping landscape shots, to simple pickups. Ross and I talk all about this unique unit and how he worked with director Jordan Vogt Roberts. Ross also was the director of photography for ABC Networks hit show The Catch and we discuss the big differences between lighting for film vs network television. 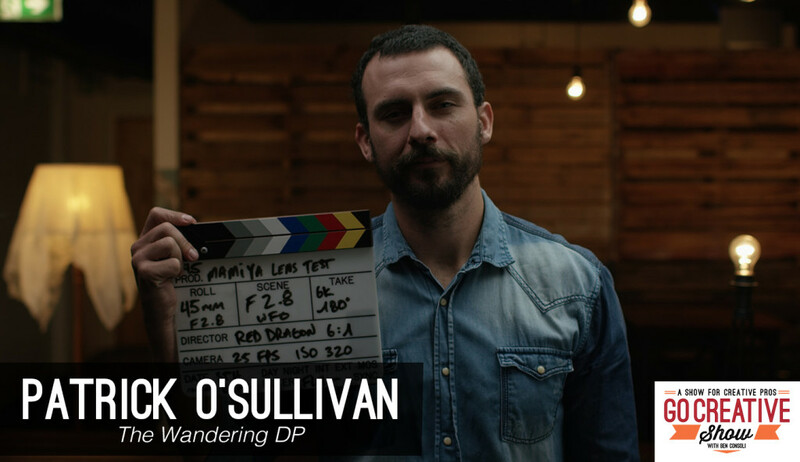 Patrick O’Sullivan is the brilliant cinematographer known only as The Wandering DP and he’s on the show today to discuss his career in cinematography, his podcast and his passion for sharing knowledge. Patrick O’Sullivan is the wildly talented cinematographer known only as The Wandering DP. He started his career as a colorist but quickly transitioned into a director of photography by obsessively studying vimeo videos and discovering the lighting patterns in his favorite clips. As the Wandering DP, Patrick shares not only his beautiful work with the world, he also shares his process through his website, blog and podcast. Join us as we talk about cameras, lights, the power of social media and more! 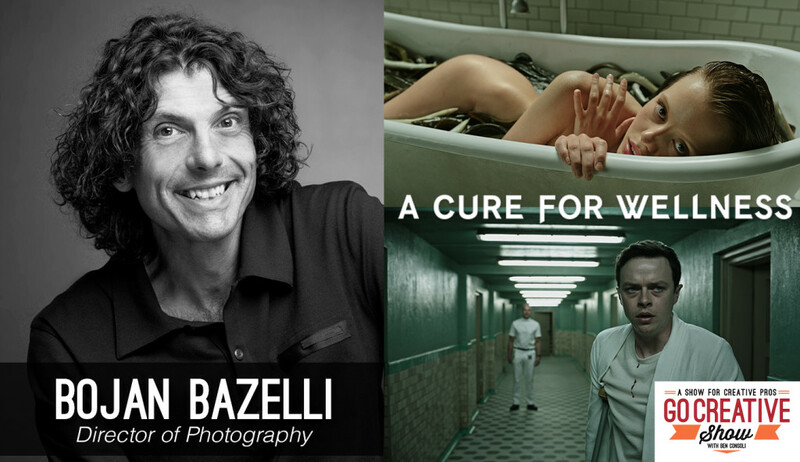 Bojan Bazelli is the brilliant and visionary cinematographer behind the new Gore Verbinski film A Cure For Wellness and we discuss all the secrets behind its iconic and challenging scenes. Bojan Bazelli ASC is a master image maker working at the forfront of today’s most high profile, visually progressive films. His collaboration with director Gore Verbinski challenged both cinema fans and filmmaking with the psychological horror film The Ring and with A Cure For Wellness, Bojan once again delivers a cinematic feat where each shot is intentional and artistic. We discuss the secrets behind some of the films most challenging and iconic shots, plus his love of commercial cinematography and how its creative freedom made him the filmmaker he is today. 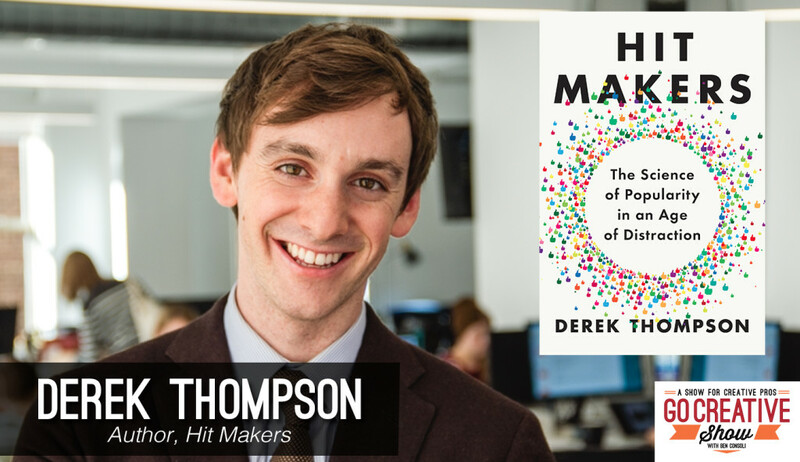 Derek Thompson is the author of Hit Makers: The Science of Popularity in an Age of Distraction and together, we break down the patterns in popular music, tv, and movies to discover the science of storytelling. Derek Thompson is a senior editor at The Atlantic magazine and author of Hit Makers: The Science of Popularity in an Age of Distraction. Derek and I discuss the trends in popular music, television shows, and films and explore the science of storytelling and hit making. Is there a formula to good storytelling? Why do people say they want new, but really want familiar? We tackle all this and more. Plus, how to use popular storytelling techniques to create better proposals and more effective pitches, to help get your projects sold.